In nature you will find plants with a wide range of psychedelic effects. Some work relaxing while others provide hallucinations. Did you know that in the forest all kinds of plants grow of which you can trip? One more powerful then the other. The trips are also slightly different. For example, take the Hawaiian Baby Woodrose or Morning Glory seeds. These seeds contain LSA, that is able to give you a completely different reality. Discover here the diversity or natural psychedelics. Did you know that nature is full of plants and mushrooms that show you a new reality in all kinds of ways? Discover a natural alternative for LSD, or explore what products you can take to hallucinate. From light effects that let you merge with the bank to intense trips that launch you into space like a rocket. Meet Hofmann’s magic potion. That was how LSD was called after the Swiss chemist first synthesized LSD-25 in 1938 from a few plants and fungi. For five years the stuff was sitting on a shelf in a lab, without people knowing about the psychedelic effects. The well-known hallucinogenic properties of LSD were only mapped later due to a stupid coincidence. “...affected by a remarkable restlessness, with a slight dizziness. At home I lay down and sank into a not unpleasant daze, which is characterized by an extremely stimulated imagination. With closed eyes and in a dream-like state of consciousness, i saw an uninterrupted stream of fantastic images. Extraordinary shapes with an intense play of kaleidoscopic colors." Three days later, Albert Hofmann consciously took 250 micro grams of LSD. It was the first time LSD was taken on purpose. Hofmann’s magic potion grew in popularity and was often recreational used in the sixties. LSD is not legal in the Netherlands. So it is a good question if there is an alternative. LSD was made in a laboratory. But nature has lots of natural psychedelics. Albert Hofmann got interested in psychedelics during his career. Mushrooms and also salvia regularly changed the consciousness of the Swiss scientist. It was however a natural hallucinogenic that led to the discovery of LSD: lysergic acid amide, or LSA. LSA occurs among others in Hawaiian Baby Woodrose and Morning Glory seeds, but does it look like an LSD trip? How Different are LSD and LSA? It is said that the effects of LSA are similar to those of an LSD trip. Nevertheless, we want to say that an LSD trip and the workings of LSA are not very similar. The molecules of LSA and LSD have similarities and both trips are indeed psychedelic. Look at LSD as a refined form of LSA. LSD is unprecedentedly more powerful. For comparison: from 0.02 milligrams LSD already has a hallucinogenic effect. You will need to take hundreds of Morning Glory seeds to get hallucinogenic effects from it. 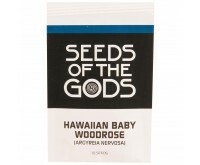 Hawaiian Baby Woodrose seeds contain more LSA, so you need less of them for a comparable effect. 3 to 4 seeds will get the desired result. 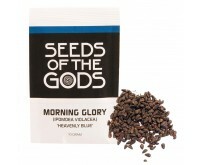 Morning Glory seeds are ideally suited for LSA micro dosing. Seeds that contain LSA, can also cause nausea, flatulence and sometimes vomiting. This can make the start of a LSA-trip (very) unpleasant. This is however not caused by the LSA itself, but by the other substances in the seeds. By micro dosing with these seeds, these nasty effects do not occur. Are you interested in the effects and dosing of LSA seeds? Or do you want to start micro dosing with Morning Glory? 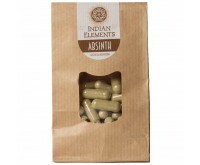 Read the product descriptions of these interesting natural psychedelics. 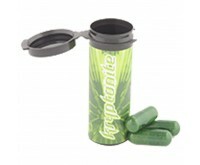 We provide a complete and honest image of the psychedelics with every product. Up till know, we have only discussed LSA seeds. For information about the trip-smart drugs such as Salvia, Truffles, Cacti and DMT you can refer to the relevant product group. We want to introduce you to the lesser-known natural psychedelics in this category. 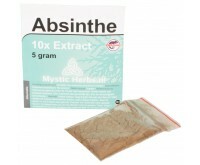 Explore the variety of plants you can hallucinate from by clicking on the photos on the products. And do you have any questions? Ask them to our customer service! They are happy to help you. Send a WhatsApp message or call us for direct contact.